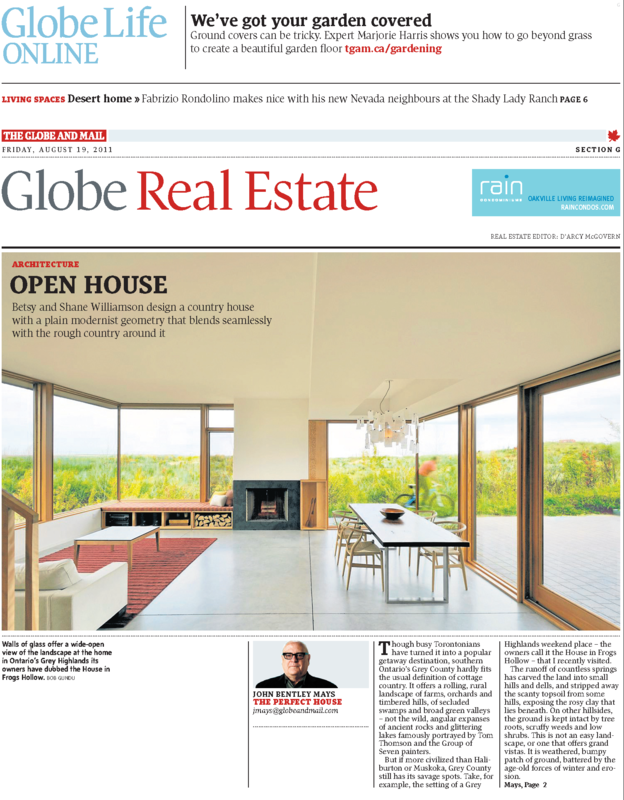 House in Frogs Hollow featured in The Globe and Mail | Williamson Williamson Inc.
We spent a lovely afternoon with John Bentley Mays at the House in Frogs Hollow and enjoyed his reading of the house featured in last week’s Globe and Mail. The article can be found on The Globe and Mail’s website with a slideshow of images by Bob Gundu. John Bentley Mays, “Grey County Home Rides an Uncompromising Landscape,” The Globe and Mail, August 19, 2011; G.